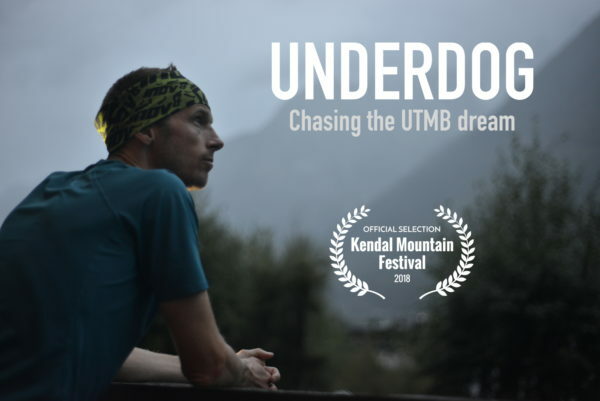 Sitting down to watch Underdog, a film about Cicerone author Damian Hall, are two very different runners: Joe has run Ultra Tour du Mont Blanc and the tougher Ultra Tour Mont Rosa, and Hannah struggles around Parkrun every week. Will this film appeal to them both? Here, they share their thoughts. 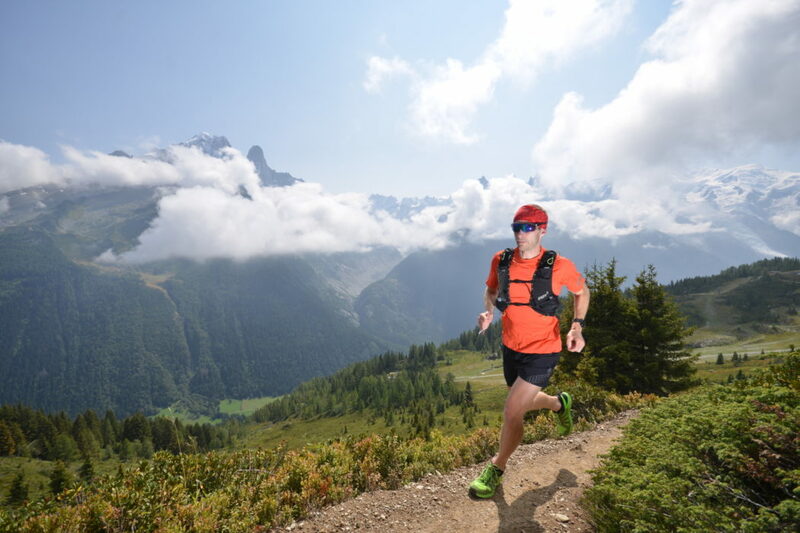 The film charts Damian Hall’s obsessive determination to place in the top 10 of the UTMB. 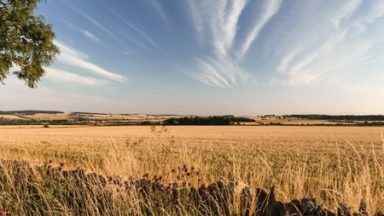 Damian, author of the Cicerone guidebook to Walking in the Cotswolds, is a 42-year-old man with a job and a family, and unfinished business with this race. Joining a crowd of 2300 runners we watch, with bated breath, to see if he can perform as well as, or even better than, the full-time professional athletes running the course. 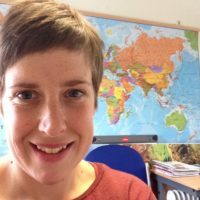 For the race organisation, UTMB is about ‘Equity, respect for other people and the environment, mutual aid and solidarity’. Now, this may seem a bit airy-fairy, but the reality is that most UTMB runners perpetuate this statement, particularly with regards to respect for others and the environment. Damian has deep respect for his past rival, elite runner Scotty Hawker. Pipped by the Australian just before the line in 2017, Damian now finds himself ahead of a struggling Hawker. Summit Fever Media capture the rare moment of Scotty leant on a tree, mid-climb, clearly at the end of his tether. Those who have tackled the final climbs of Bovine, Catogne and Tete aux Vents during UTMB will be able to empathise with the torment that Hawker is clearly going through. 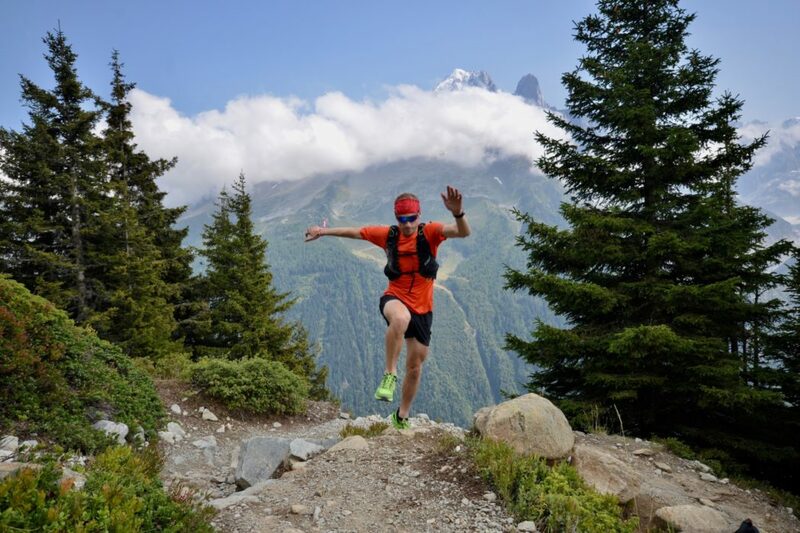 Damian knows he’s up against the world’s best at the 2018 UTMB. The race functions effectively as the de-facto World Cup Final for the mountain ultrarunning community. 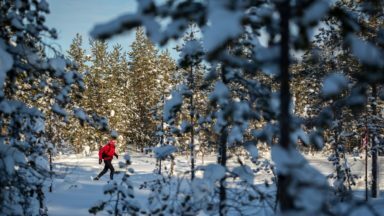 The 2018 edition of the race features, among many, many others, two standout ultra runners; the King of mountains Killian Jornet, and US trail speedster Jim Walmsley. Both of these athletes fail to complete the race. Indeed, the dropout rate among the elites is particularly high this year. Yet Damian manages to prevail. 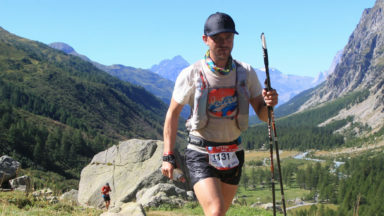 Fourth time in a row at UTMB, Damian has got it dialled. Underdog gives us some great glimpses into his secrets and methods. He trains optimally, given the restrictions of where he lives (hammering the trails of the Brecon Beacons and targeting key overseas races and trips). He looks after himself (his massages and injury-reducing weight-vest sessions). One brief scene gives insight into his mental preparation in the hours before the race: Damian is snuggled up in bed (probably with a cup of tea on the bedside table), watching Chariots of Fire on his laptop! If I could make any recommendation to Summit Fever Media on Underdog, it would be to make the film longer. Hall declares that he has ‘a UTMB problem’. What is this problem for him? Why does he keep going back? 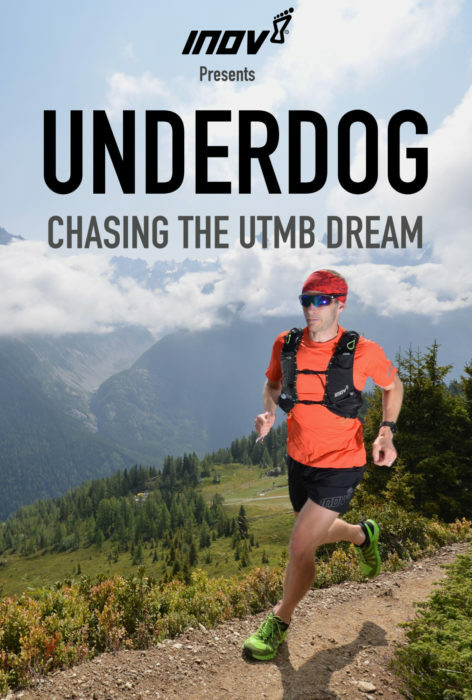 What is it specifically about UTMB that attracts him? What drives Damian to train and race so hard, and the deeper questions about motivation (‘Why do we run?’) and remain unanswered. These are difficult questions for both filmmaker to capture and for runner to vocalise. Indeed, when many filmmakers attempt to answer this question the result is usually superficial and disappointing. So maybe Underdog is better off for not tackling this thorny topic. All runners run for a reason – whether they are consciously aware of it, or whether that reason remains buried in the subconscious. Ultramarathons are emotional occasions, and it is interesting to see how Underdog captures these feelings. Damian has probably the best crew anyone could ask for: the legendary Nicky Spinks. Watching the brief interactions between Damian and Nicky, you can sense a caring, close friendship. So when Damian crosses the line in 5th position, it’s a beautiful moment to see Nicky in tears and overjoyed for her friend. Interestingly, Damian’s finishing celebrations are slightly different. Although there are smiles and raised arms, I got the sense that the overriding emotion for Damian was that of relief. Relief that the suffering of the race itself was over? Perhaps relief that he has finally smashed his goals and doesn’t actually need to go back to UTMB next year? 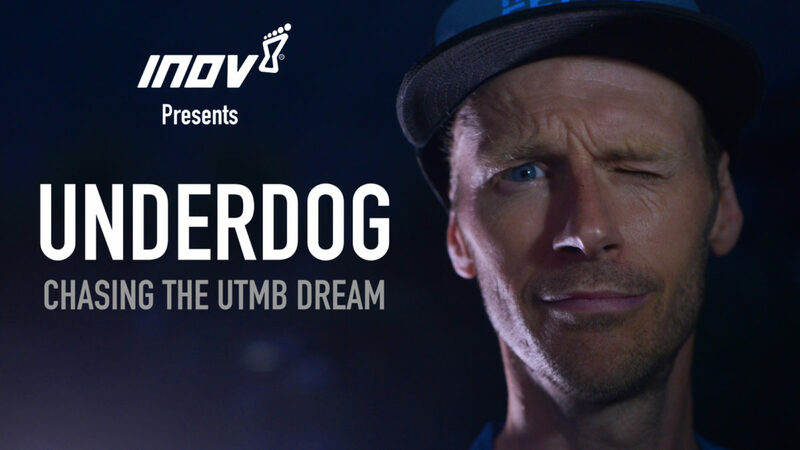 Underdog allows the ultrarunning world to know a bit more about Damian Hall. We can start to understand this British character and how he has achieved what he has. 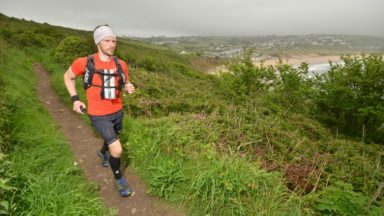 If nothing else, the regular runner can take some lessons from Damian: picking up running in his 30s, he put his head down for years, seeking to improve and get the best out of himself. His success and development are a testament to this kind of dedication, and he’s a true inspiration. Damian is a classic tea-drinking, self-deprecating Brit. He’s not a hero. He has a job. He does the school run. He gets up too early in the morning to go for a run and admits, refreshingly, that he’d ‘much rather be in bed’. There’s no hint of the successes he has already had in trail-running and he comes across as a ‘normal guy’. 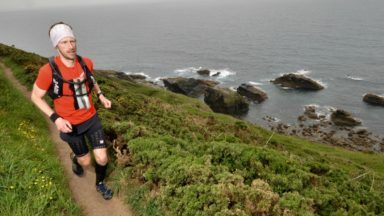 Despite only doing his first marathon in 2012, at the age of 36, Damian has already set the Fastest Known Time on the South West Coast Path, running the 630-mile route in only 10 days. However, Damian still has a mammoth task ahead of him and the tension in the film is palpable. 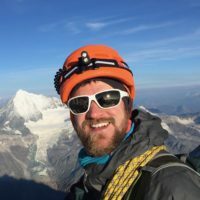 Luckily, Damian’s irreverent humour punctuates the tense moments as he points out unknown mountains and – bafflingly – calls himself ‘the running equivalent of Jay-Z’. Is it the hat? Who knows?! I’m a below-average running/everything-outdoors enthusiast with a huge appetite for challenge. Damian’s down-to-earth attitude made me have itchy feet for a race I would never have considered possible. There’s something wonderful, and average, about just slogging it out for years and years in order to finally achieve something wonderful. It’s not heroic, it’s achievable. It’s just that, as Damian says, most people would give up before him. This film is a rallying cry for anyone who wants to achieve anything: just don’t give up and it can be yours. 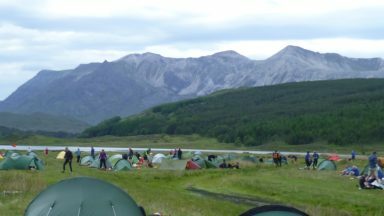 Underdog is premiering at the Kendal Mountain Festival and is also available to purchase from Reelhouse.